Paterson & Cooke’s specialist engineering services leverage the use of software simulations efficiently to accelerate process understanding and engineering development. Paterson & Cooke’s computational fluid dynamics (CFD) group utilizes industry-leading ANSYS Fluent software with a 32-core Linux based supercomputer. With today’s enhanced computing power, CFD is an efficient and valuable tool for process and hydraulic applications. Design, problem resolution, and validation of slurry process equipment are challenges uniquely suited to the strengths of CFD. Computational simulations can be completed quickly and effectively with a high degree of accuracy and confidence. The prohibitive cost of repetitively fabricating or modifying large scale equipment, either during a system design phase or whilst in operation, is negated by leveraging CFD simulations. Paterson & Cooke have well established Pipe Stress Analysis capabilities. 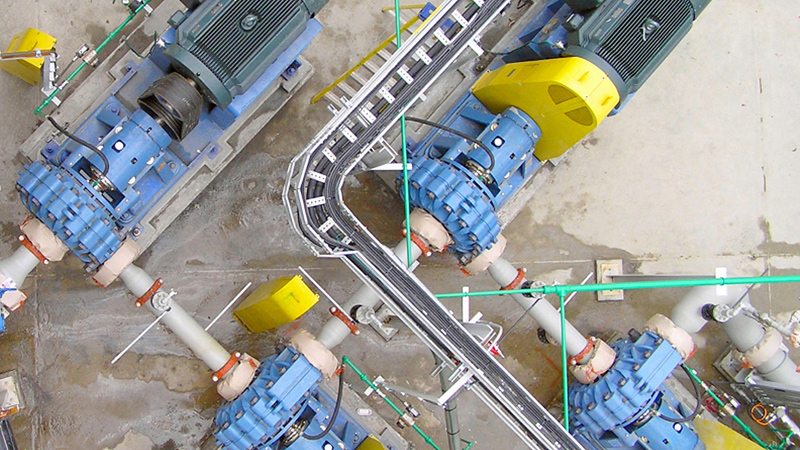 Using Intergraph CAESAR II, an industry standard for pipe stress analysis, piping systems are assessed for stress compliance with the appropriate pipeline engineering codes as well as for the determination of support loads. Modal and frequency analysis of pump station and plant piping can be done to ensure that the piping and support system remains stable under external and operational excitation. Dynamic loading on pipe systems and associated structural support, as a result of wind, seismic or water hammer, can be reviewed and incorporated into respective design. Anchor loads and appropriate supporting are optimised for practical and safe application. Power failure of pumps, sudden valve actions, and the operation of automatic control systems are all capable of generating transient events in piping systems. The introduction of large pressure forces may result in pump and device failures, system fatigue or pipe ruptures, and even production downtime or worse injury. Transient flow simulation has become an essential requirement for understanding the response of a piping system under various scenarios for normal operation and as well as upset conditions. It assists in verifying the rating of specified equipment and piping, and optimising a system’s specification and control to ensure the safe operation of an effective and productive piping transportation or distribution system. Paterson & Cooke utilizes Deltares’ WANDA software as well as collaborates with Deltares to improve the capabilities of their transient software to deal with specialist slurry pipeline applications. Paterson & Cooke (P&C) have completed a mixing efficiency analysis of an in-line flocculation mixer for Thurber Engineering Ltd. Rheology measurements of the mature fine tailings and polymer solution at concentrations between 0.1% and 1.0% polymer were completed at the P&C laboratory and used in the CFD simulations. Various mixer configurations were investigated, each comparing the mixing efficiency with different polymer solutions. The mixing efficiency was found to primarily be effected by the mixer configuration and to a lesser extent by the polymer dilution. 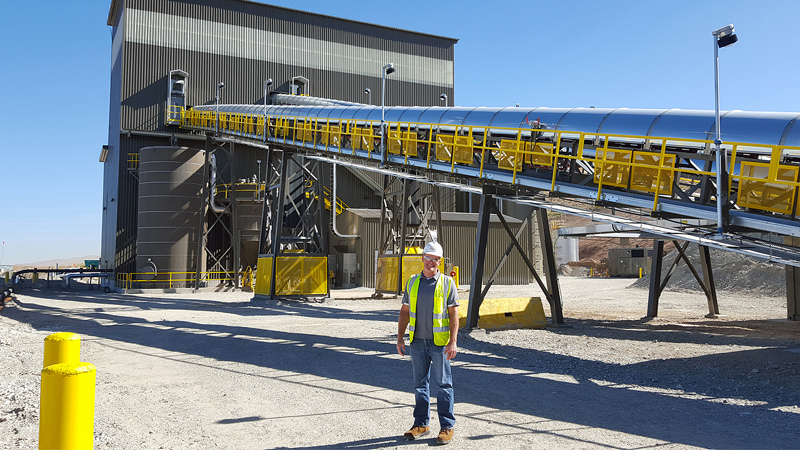 Paterson & Cooke carried out stress analysis for the design of a new tailings pumping system for the Sentinel operation. The design included a new pump station, overland pipeline, valve station and distribution piping. The pump station required some design modifications to ensure that the pump nozzle loads were in compliance with the manufacturer’s requirements. At the pump station and valve station there were a number of bifurcations and the arrangement and construction of these fittings was analysed using Caesar to determine appropriate designs according to the piping codes. Detailed mechanical design including pipe stress analysis per ASME B31.3 and support design load determination using Caesar II stress analysis software. The loading cases considered thermal expansion, transient pressures, and seismic design scenarios. This analysis enabled individual support component selection and structural member sizing of hanging, guide and anchor supports. A detailed stress analysis per ASME B31.3 was completed for the positive displacement pumps and mature fine tailings centrifuge delivery pipeline. A novel skid design was used at pipe connection points, which was factored into the stress analysis. Using thermal expansion, friction, and pipe slippage, the maximum forces on the skid were calculated. A transient analysis was also performed to verify the maximum pressures and loads experienced during all possible scenarios. Transient analysis and operating procedures for the main pipeline and four feeder pipelines. The main pipeline of DN 900 and 187 km length comprises six pumps in series at the main pump station, with an intermediate valve station and choke station and rupture disk at the terminal. 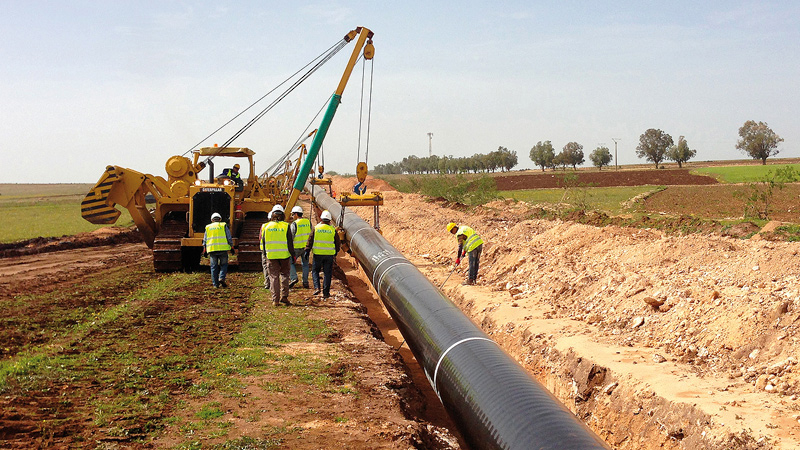 The feeder pipelines range from DN 300 to DN 500 and is up to 22 km long. Transient analysis of Plants 86 and 300 lines assessing pressure ratings, control and operating philosophy using Wanda by Deltares. This determined acceptable valve operation, recommended pump casing upgrades and necessity of rupture discs for pump trip, valve closure and dyke deposition point switch scenarios. Anchor loads were also estimated for the Booster Pump House of Plant 86 considering the effects of vacuum breakers and a dump valve in the system. Transient analysis of the pressurized pipeline from No. 2 Reclaim Water Booster Station to the Raw Water Reservoir was investigated. The effectiveness of the inclusion of a rupture disc and surge anticipator was examined for the case of a full power failure and pump trip. The current design was found to be satisfactory, but additional optimizations and recommendations were provided. A transient analysis of a slurry distribution device located at the end of a long down ramp was completed. The scenarios investigated included steady state operation, start-up, EOPD clogging, and the propagation of pressure waves from hydraulic jumps in the pipeline. The major findings were that a clog would result in the highest forces on the EOPD, and the flow rate is slower than deposition velocity at points along the pipeline which will cause surging flows out of the EOPD.